There are castles and chateaux of all various sizes and histories scattered throughout Bohemia. Some are preserved with a great attention to historical detail while others remain in ruin, frozen in time. 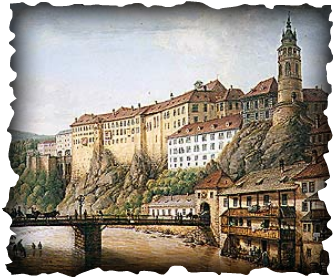 Find out more about these citadels and residential palaces from my journeys throughout Bohemia. A large Gothic castle founded 1348 by Charles IV, Holy Roman Emperor-elect and King of Bohemia. 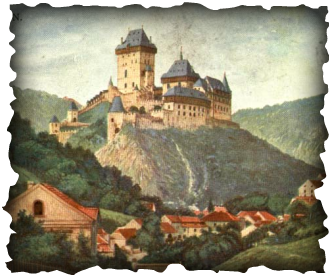 The castle served as a place for safekeeping the Imperial Regaliaas well as the Bohemian/Czech crown jewels, holy relics, and other royal treasures. Holy Roman Emperor Charles IV personally supervised the construction works and interior decoration. the Bohemian crown jewels were moved to the castle and were kept there for almost two centuries. The jewels now reside at Prague Castle. 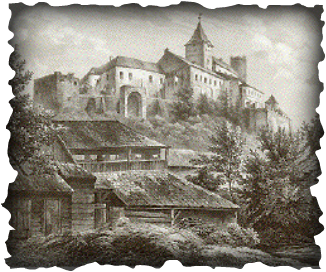 Houska Castle is generally known as the most haunted castle in all of Bohemia. A large gash in the limestone rock opened up a "bottomless pit" sometime in the 12th century. A holy chapel was built on the site to cover this "Pit to Hell" and later a castle was constructed to guard against whatever could come out of that hole. Houska Castle welcomes thousands of visitors every year to showcase this structure with a legendary and mysterious past full of paranormal activity. The castle houses the Český Krumlov Baroque Theatre, which is situated on the Castle Courtyard. It is one of the world's most completely preserved Baroque theatres with its original theatre building and auditorium. The entire area was declared a national monument in 1989 and in 1992 it was added to the UNESCO World Hertiage list. It is the largest castle (in terms of area) from all Czech castles. Its name might derive from the German word raben or raven. 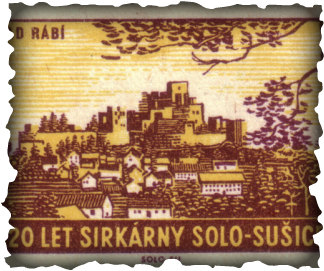 The first mention of Rábí Castle dates from 1380, although it is not known exactly when it was founded. It is likely that the Lords of Velhartice established it after 1300 to protect trade routes along the Otava and also to inspect gold-bearing deposits in it. At the start of the Hussite rebellions, the Švihovský family searched for havens of supporters of the Catholic side in the district and for their treasures, at Rábí. 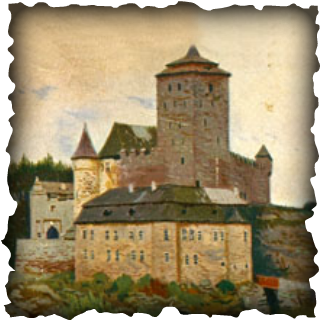 In 1420-21, the Hussites conquered the castle twice, and legend has it that during the second siege an arrow fired from crossbow hit the trunk of a pear tree and a resulting splinter from the tree hit Jan Žižka in his only good eye. In the second half of the 13th century a gothic castle was built at the site. During its history it was rebuilt several times. 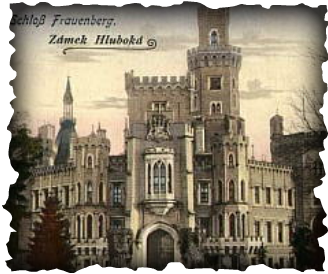 It was first expanded during the Renaissance period, then rebuilt into a Baroque castle at the order of Adam Franz von Schwarzenberg in the beginning of the 18th century. It reached its current appearance during the 19th century when Johann Adolf II von Schwarzenberg ordered the reconstruction of the castle in the romantic style of the Windsor Castle in England. 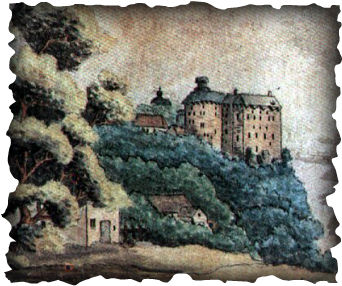 Unlike most other castles in Bohemia, it does not lie on a hill, but on a spit between two brooks. Another peculiarity is the tower, which has a trapezoid-like ground-plan. The trapezoidal tower has the corners facing the areas of most likely catapult attacks. This is to make the missiles glance off the tower walls instead of hitting it headon thereby minimizing the damage. Krivoklát was founded in the 12th century, belonging to the kings of Bohemia. During the reign of Premysl Otakar II a large, monumental royal castle was built, later rebuilt by king Václav IV and later enlarged by king Vladislav of Jagellon. The castle was damaged by fire several times. It was turned into a harsh prison and the building slowly deteriorated. Today, it is a living museum to medieval life attracting thousands of visitors a year.